Its exactly what it sounds like. But produced by the peeps who did Cabin Fever so worth a look. Wait for it at 1:34. He’s back and he’s not Chuck Testa. 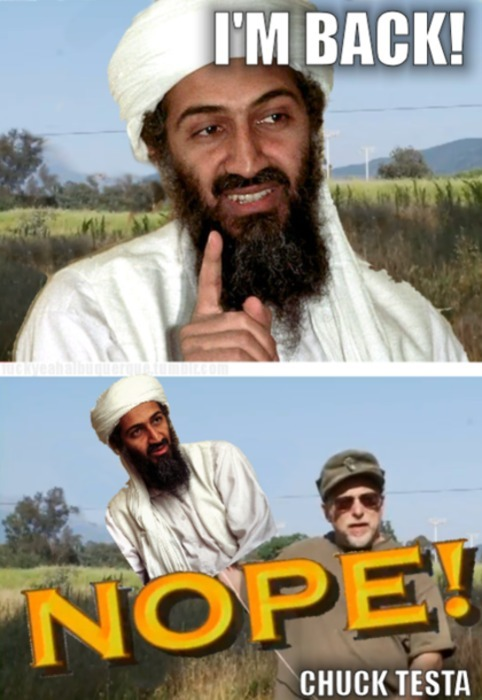 He’s Zombin Laden! Zombin Laden is a fake trailer made for a french contest. Haven’t got around to the game, but from what I hear, this is very accurate. Fun.